It's only November but holiday season is creeping up on us quickly. So over the weekend we helped to stimulate the economy at the Artemide warehouse sale. I have been thinking about changing out some lighting pieces so this is an early holiday treat for the house. I think it is important to have an overall balance between fashion and lifestyle. Are you into home decor? It is finally cooler in Socal so I am able to wear leather jacket. Orange and pink combo is one of my current favorites. It is the perfect pop for fall chilly days. -Christian Lacroix suede jacket --- I love the orange snakeskin pipping and fuchsia lining. Speaking of holiday shopping, I am going to help one lucky winner kickoff holiday shopping. Since orange is my favorite fall color because it goes practically with everything, one lucky winner will have a chance to win this lovely silk scarf (retail value $145). I love to support a company that helps to enable women in poverty to better their lives. I love to wear this scarf with a pink cashmere sweater. How will you wear it? 1. Be a Savvy Mode follower for one entry since this is to kickoff holiday shopping for Savvy Mode readers. 2. Share this giveaway for 2 additional entries. 3. Sorry, this is open to US and Canadian readers only. Good luck everyone!!! Happy Monday! Fabulous buys... love those lamps you bought. And I love that suede jacket. It's so sad that I'm not in US anymore, I can't join the giveaway. Love Ur Christian Lacroix jacket! Oh yes, totally love home design as well!! was not a fan of modern design until I helped a friend with his online furniture store. Now I love it!! Love your outfit, btw. Pink and orange make me very happy!! I love the lamps! I still have ugly, cheap torch floor lamps in my apartment. I've wanted until I'm in a more permanent residence to buy nicer lamps. But a new lamp makes such a difference! The scarf is gorgeous, but the story behind the scarf is even better. I'd wear it with a neutral khaki trench for a pop of unexpected color. What great lamps you found! I love to keep the home in style as well. I found some very cool items this weekend as well! I am a follower! Love the scarf. I tend to wear mine with a fitted denim jacket. But this orange would look great with a pink jacket I have. LOVE mixing orange and pink! Stunning Buys- I love those lamps!! Oooh and your outfit is adorable; especially your shoes! I’m glad you and the bf were able to get some shopping in and I love the outfit you wore. The orange and pink combo is really nice and you look fantastic! Sign me up for the giveaway. I would wear this with jeans and a navy cable-knit sweater. I’m scarf obsessed in the fall/winter. I’m already a follower and I have posted this on the sidebar of my blog under the giveaways section. I am a follower :) Lovely scarf! that scarf is awesome! i love it! thanks for the giveaway! The lamp looks classy. I'd have opted for it too. I'm somewhat into decor - lots of black and white in my Paris apartment at the moment - but fashion has my heart! It's on me. Skin-close. It lets me to express myself. haha I loved how you "supervised"! Thats what I would do too! it looks like you two found a few great deals!!! It is a great scarf! thank you for letting me know! I am a follower and posted this on my blog! The pictures style is Wow! 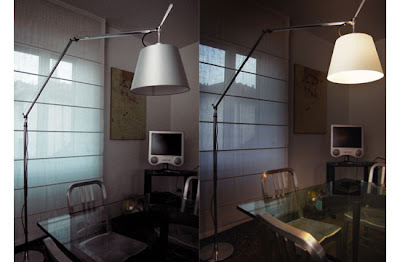 Savvy, love the lamps! I know that they would definitely agree with my husband's tastes - minimalist and tasteful. I'm a little split between NYC and London so not sure if I can enter. I'm definitely sharing and tweeting though! Fab purchases and giveaway, darling! Great stuff you bought, so pretty. And you look sooooooooo nice and lovely dear. I like those lamps in that office space. 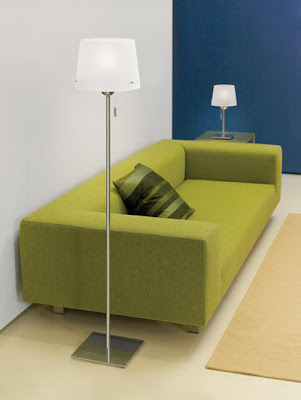 I love that huge floor lamp! What a great piece! LOL at you helping to stimulate the economy! So true though. :D Love the pop of colors in your outfit. And your decor selections are beautiful. Love those lamps, very stylish! As well as that scarf ; ) I would wear it with black for a sophisticated going out look. p.s. i am already a follower. 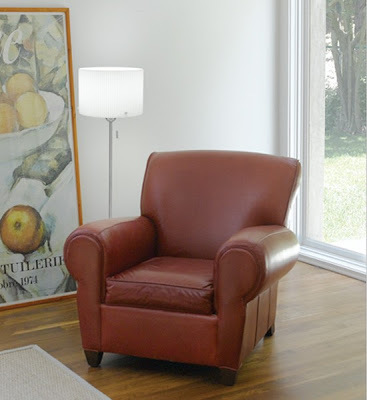 Loving the Bolo floor lamp. Another giveaway, already? Thanks! Those are great lamps, and what a beautiful jacket! Lovely scarf! I'm a follower. what fabulous pieces you found for your home!!! and I LOVE your scarf...I'd love love love to win one!! 1. I love your home scores. 2. I love your ballet flats. 3. I would wear that gorg scarf with a black tee shirt dress so it would be center stage! I love your outfit and that scarf is gorgeous. I love the colors! nice buys ! the lamps are so nice :D ohh fall in love with your jacket ! so awesome ! ughhh i wish i live in USA or canada . Very nice puchases. I'm quite interested in home decor although I haven't done very much of it. Wow! I love the print on your jacket! And that scarf if such a great giveaway! I'm an email subscriber, think that counts :-) Thanks for the giveaway. Love scarves! This would be such a fun scarf to brighten up those dreary winter days that I'm sure are on the way! Wonderful giveaway! Count me in for the giveaway - that's one beautiful scarf! im so ready to start my xmas shopping ! You are so cute. I love how cheerful you look. As for me, considering the business, I'm starting to think ahead to Valentine's Day! oh my god. I want to win this scarf so so so badly. pick me pick me! i will follow as soon as i start officially following blogs. if that makes sense.. probably not. The Christian Lacroix suede jacket is AWESOME!! And of course so is this giveaway - count me in doll! I will sidebar too bc thats how much I luv ya! Looks like you found some great buys! Love the lamps...and this scarf is beautiful! I would love to wear that this winter!! OH... and I am a follower. I will blog about the giveaway tonight!and will let you know. I want to curl up under those lamps and read a good book. also, i'm posting the link for the competition along with today's outfit post! I just ran across your blog and I'd have followed anyway, but the giveaway was a nice touch!! Great blog! those lamp so cute!!!! you looks so pretty in pink. great smile Savvy!!! Wow! What a fantastic give away and I love that it's for a cause! I'm now a follower of your fab blog! Posted your give away on my blog too...fingers crossed that I win! Great buys! I'm a huge fan of scarfs,and that orange would really spice up my fall wardrobe. I'm so loving this giveaway!! OMG! I love your jacket!